Can anyone stop Evgeny Dadonov from scoring? Can the Steel City men iron out their errors? Who will guard the SKA net? At khl.ru we tackle these and many other questions in our preview for Game 2 of the Gagarin Cup final series. The first match of the 2017 finals certainly lived up to its hype and fully earned the prefix, “super,” which the optimists had offered before hostilities commenced. 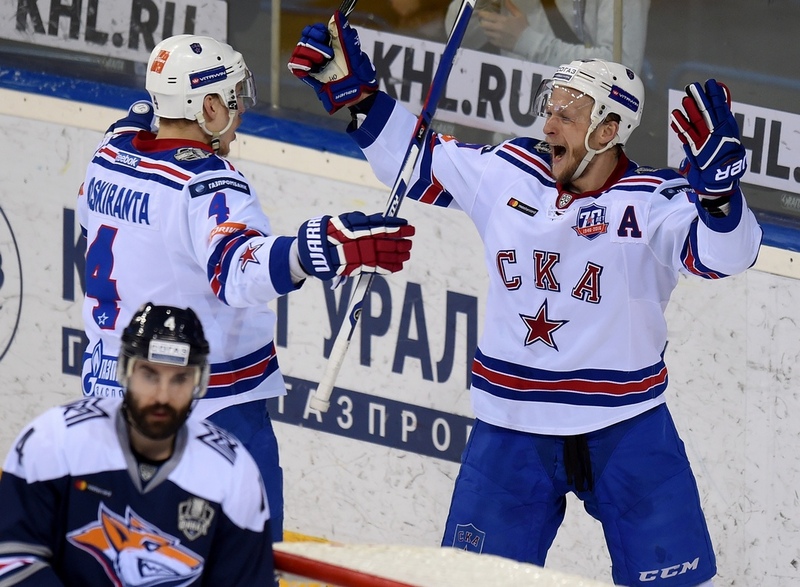 Metallurg and SKA served up pulsating drama: nine goals, an abundance of fine saves, two star players sent back to the locker room, sublime skills and base mistakes from the masters, all in a swirling mist of emotion, determination and passion. 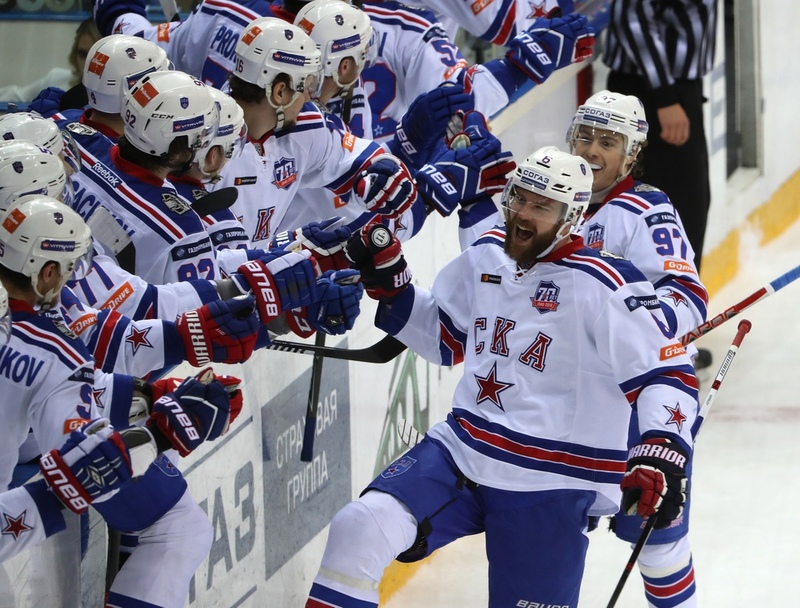 The spoils in this opening skirmish went to SKA, who celebrated a 5-4 win thanks to a Evgeny Dadonov double and a goal each from Evgeny Ketov, Nikolai Prokhorkin and Patrik Hersley (who put so much energy into his shot that the puck tore through the net). Magnitogorsk hit back through Evgeny Timkin, Sergei Mozyakin, Viktor Antipin and Tomas Filippi. No fewer than four forwards earned game misconduct penalties during the opening encounter. Magnitogorsk’s Oscar Osala and Petersburg’s Ilya Kovalchuk were each sent to the locker for checking to the head and neck area, while Magnitka’s Tommi Santala and SKA’s Vadim Shipachyov were belatedly presented with a 5+20-minute penalty when the Disciplinary Committee reviewed the day’s events. All the naughty quartet face a stiff fine, but the Committee did not deem the offenses worthy of a disqualification, leaving all four free to step onto the ice for Act Two of the drama, tonight. The injury list remains unchanged. From the SKA camp emerged the news that defenseman Vyacheslav Voynov, who has not made a single post-season appearance, is unlikely to recover in time to play in the series. Things are less certain regarding Pavel Datsyuk. The Magic Man recently underwent surgery, but the Petersburg men believe he soon be back to bewitch the Magnitka defense. The Metallurg treatment room is also busy. The serious injury Wojtek Wolski suffered in the regular season match against Barys will keep him out of action for the rest of the season, but Jan Kovar, who missed several shifts following the blow to the head which led to Kovalchuk’s dismissal, returned to the ice late in the game and has not been feeling any ill-effects from the collision. - What things do you mean? The host allowed SKA to score twice from the slot, and there were schoolboy errors from some of Magnitogorsk’s most respected leaders: Dadonov notched his first strike after Sergei Mozyakin had given away the puck in the neutral zone, and scored his second when he found himself one-on-one with the goalie after Chris Lee had granted him the freedom of the blue line. It may well be these episodes which the coach had in mind. - Why were there two game misconduct penalties tonight? - Passion, I would guess. The desire to win. 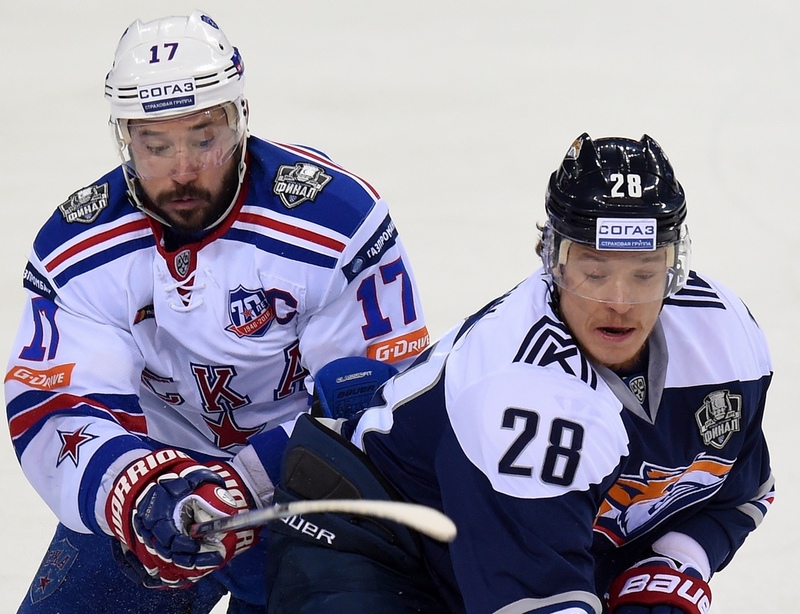 - All was lost at 3-5 with time running out, but Metallurg grabbed a goal in the dying seconds. Was that goal important to the team, psychologically? - Do you think the entire series will be just as high-scoring? - What impact did Osala’s sending-off have on the match? The combination which led to your goal – was that spontaneous, or something you’d worked on in training? – How did you manage to own Chris Lee? – Was it a tough match? – What do you think was the key factor? – Does Patrik Hersley shoot the puck through the goal nets in training? –Is it easier to begin a series on the road? – Today you faced the formidable Kovar – Mozyakin - Zaripov line. Did coach Oleg Znarok give you any special instructions on how to deal with that troika? - Do you think you can wrap up the series quickly, even without Datsyuk and Voynov? Petersburg fans have every reason to hope that Evgeny Dadonov’s double in Game 1 was no freak occurrence. In 2015, the SKA sniper scored 15 post-season goals, setting a new record for the total scored in a single playoff campaign. That achievement has been matched this season by Magnitka marksman Danis Zaripov. However, the latter last scored in Game 3 of Conference final series against Ak Bars, and it will be interesting to see how he responds. Of course, speculation about future goal-scoring exploits must not exclude Sergei Mozyakin. Saturday was certainly an “off-day,” by his standards, and yet he still yielded two (1+1) points. And as for SKA, Dadonov is far from being the sole threat. Fans will long remember Patrik Hersley’s shot ripping through the net, but we should not overlook his two assists in the same game. Nor should we forget Nikolai Prokhorkin, whose assist set up the series-winner against Lokomotiv and whose goal decided the 5-4 thriller on Saturday. Finally, Nikita Gusev chipped in with two assists on Saturday and reminded us all that the Gusev – Shipachyov – Dadonov line is a force to be reckoned with. Who will SKA place between the pipes? 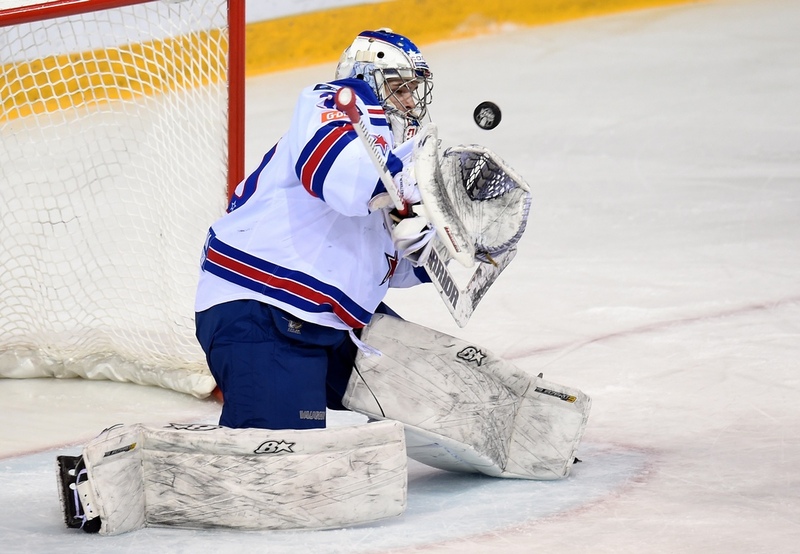 Resident khl.ru expert Sergei Gomolyako expressed surprised at SKA’s choice of goalkeeper. 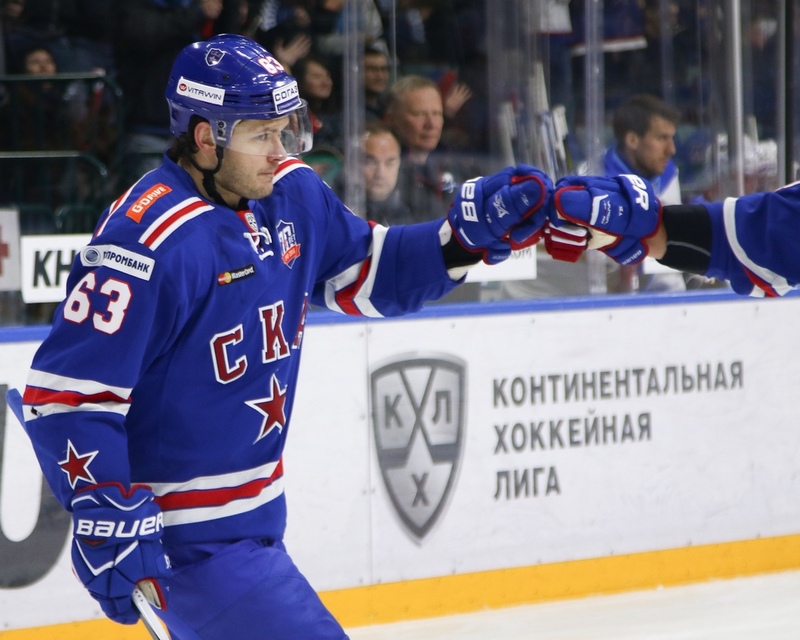 Igor Shestyorkin allowed four goals but still won his duel with Vasily Koshechkin. Previously, Mikko Koskinen had been the number one choice before his recent injury during the series against Lokomotiv, and he still had the deputy’s role on Saturday. Who will Znarok choose as the immoveable object against Magnitka’s irresistible force? This could be the most intriguing mystery in the build-up to tonight’s game. Game 2 of the final series between Metallurg and SKA takes place in Magnitogorsk today at 17:00 (Moscow Time), and will be broadcast live on KHL TV, KHL TV HD, and Match TV.